The difference is always in the details. This is where reputations are earned, distinctions are made. This is where you separate those who do, and those who do it well. 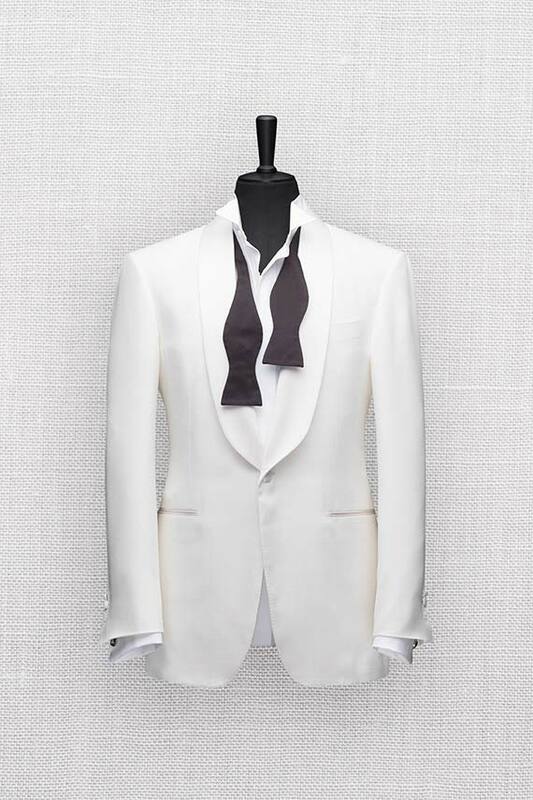 At Antonacci, we believe that nothing distinguishes one more than the elegance of a fine, custom-fitted, handmade suit. 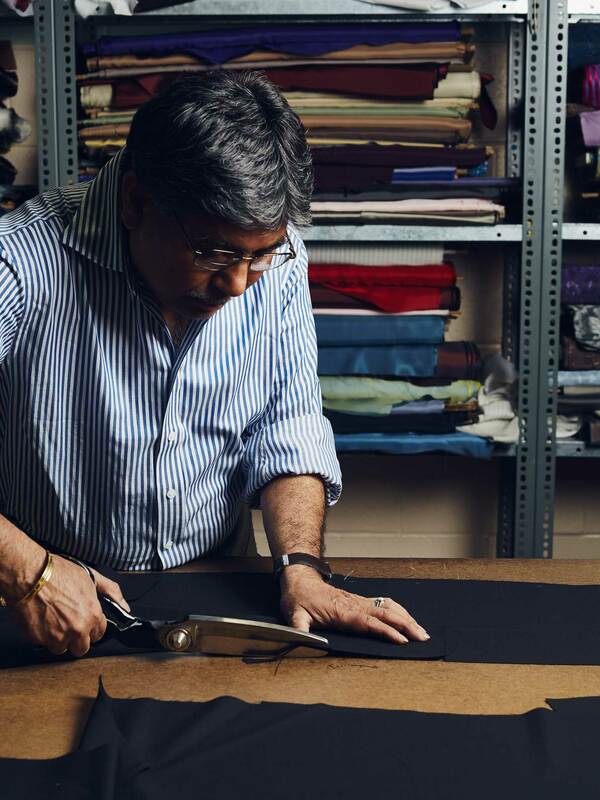 We take pride in the tailor's craft, with a passion for impeccable quality in every single detail. 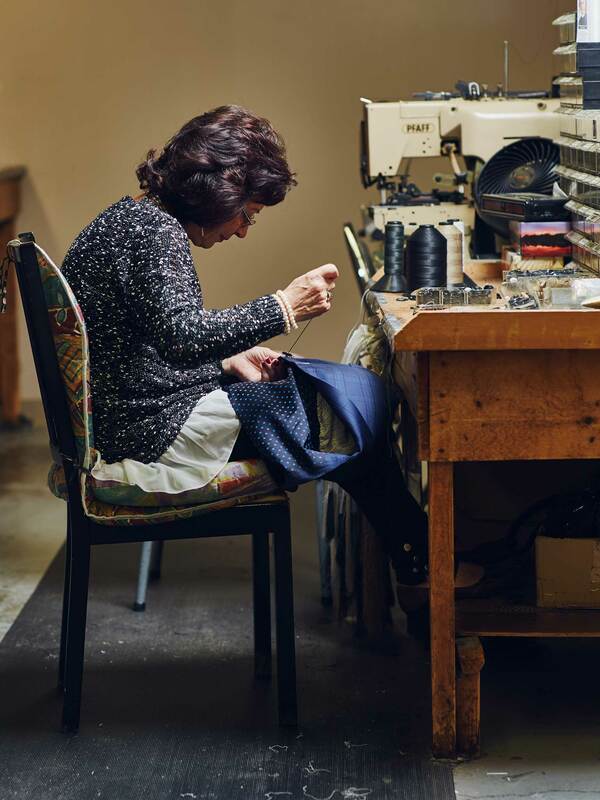 From the finest fabrics and threads to old-world artistry and craftsmanship, we are meticulous about creating garments of the highest standards, and we understand the secrets of the perfect fit. 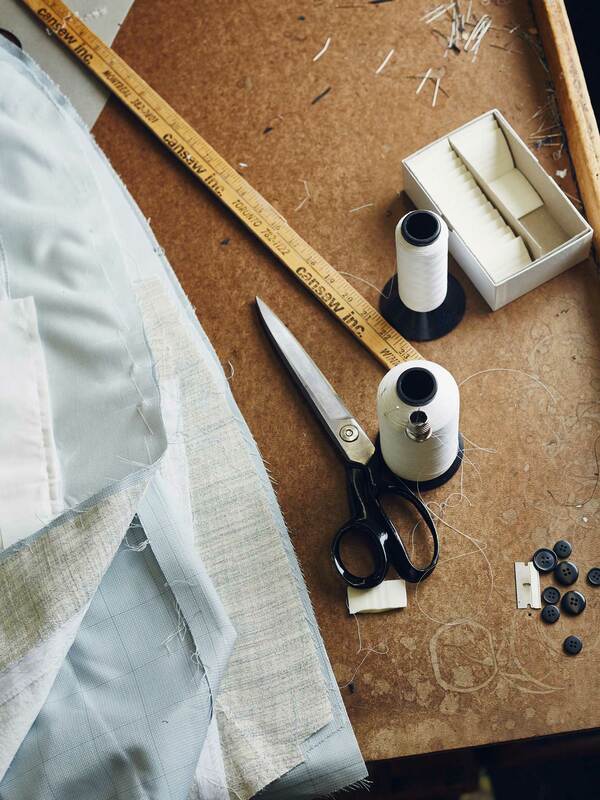 It takes our tailors up to twenty hours to produce one handmade suit, with strict quality control at every stage. 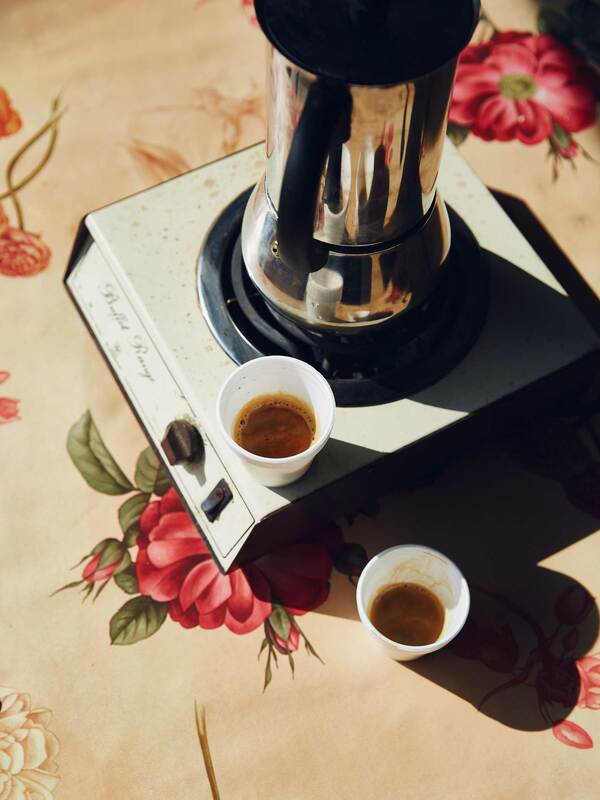 There is no compromise, no cutting corners. 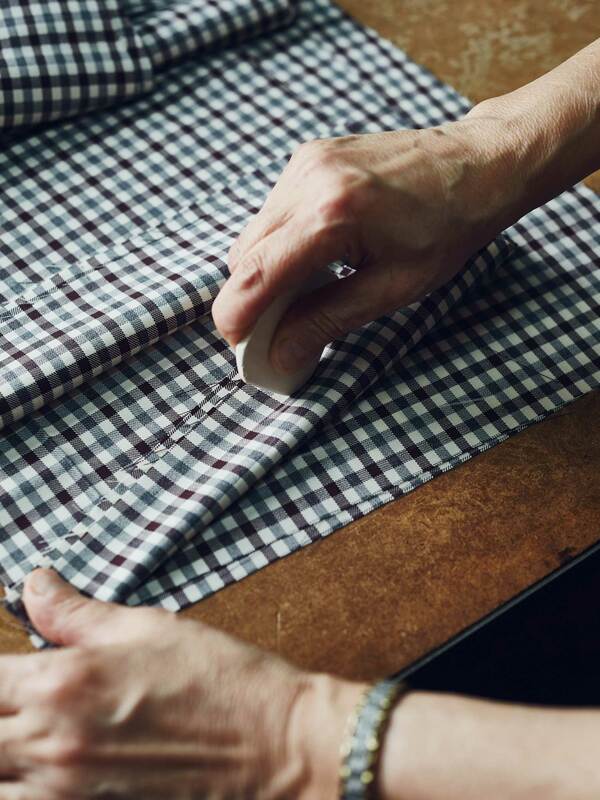 Only a dedication to our craft and to creating the finest handmade garments to suit the individuality of every customer. Antonacci uses the finest components in our suits. Here is a selection of items that make our suits superb. 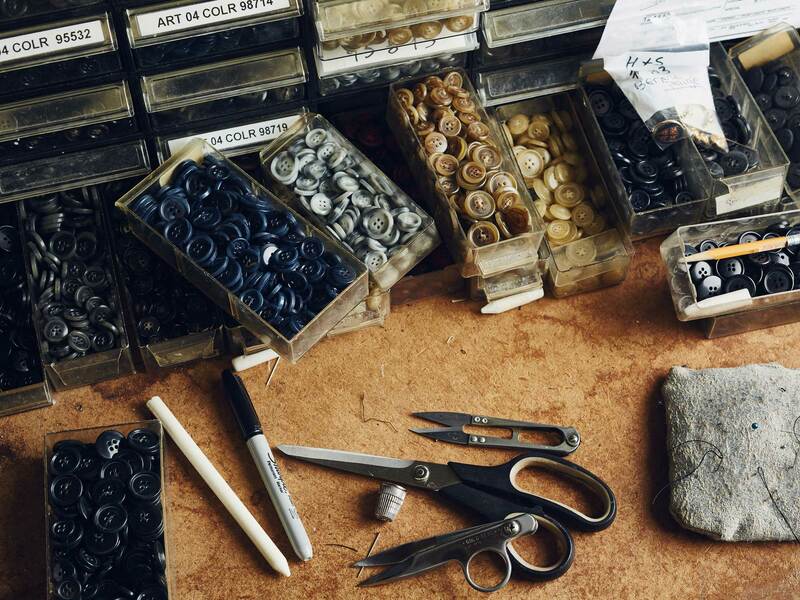 Purpose: for hand-work, secures certain suit components. We work with the most established and respected mills in the United Kingdom and Italy. 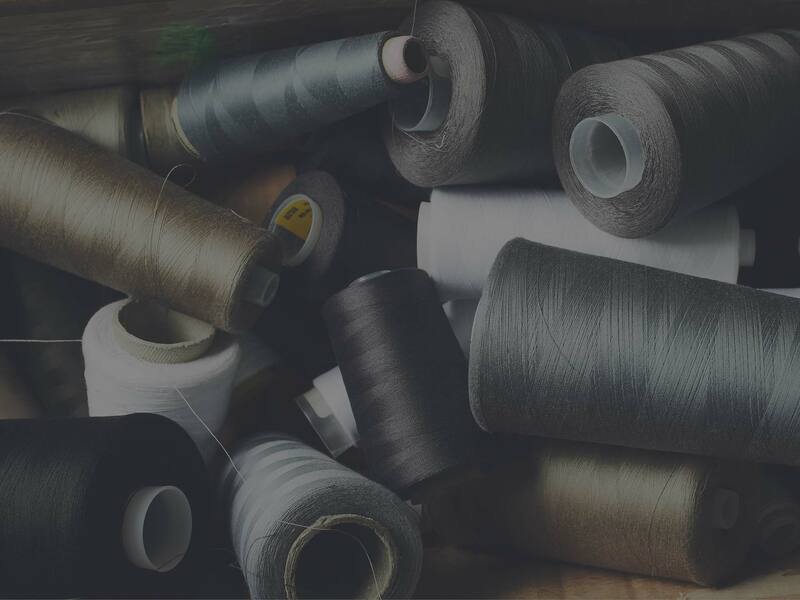 They are leaders in the textiles industry for more than 200 years in heritage and contemporary fabrics. “A tuxedo is special. Refined. Elegant. The best are subtle in their details. We layer on the silk & satin: trim, lapel, jetting which is all applied and finished by hand as the silk is too delicate for a machine. Since he was a child in Palermo, Italy, Hector has been around mens fashion. His father was a tailor who ran a small shop and where his mother also worked. 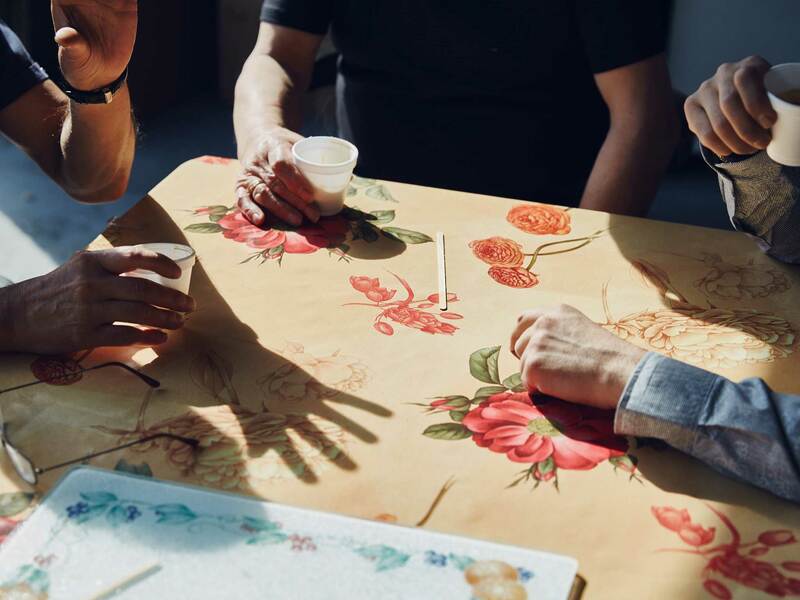 When Hector was 21 he came to Canada, learned English and went to New York City to study menswear design. 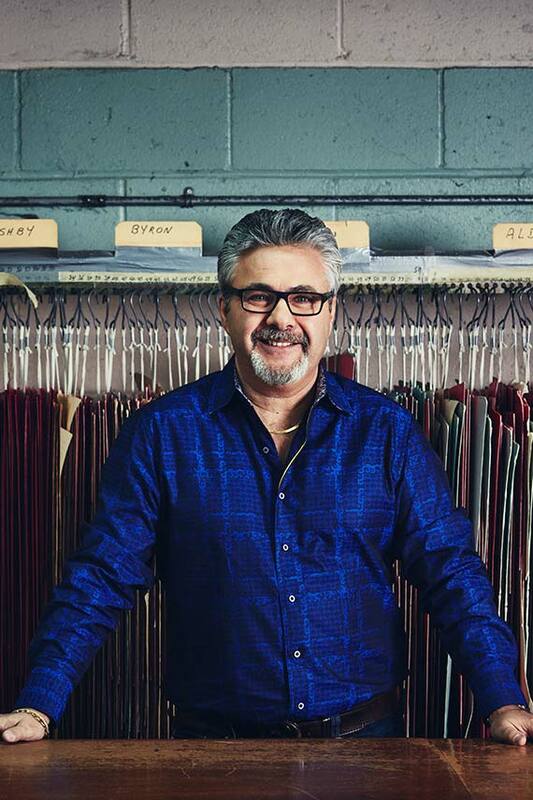 As Designer, Hector is the gentleman responsible for creating Antonacci's collection of pattern blocks. 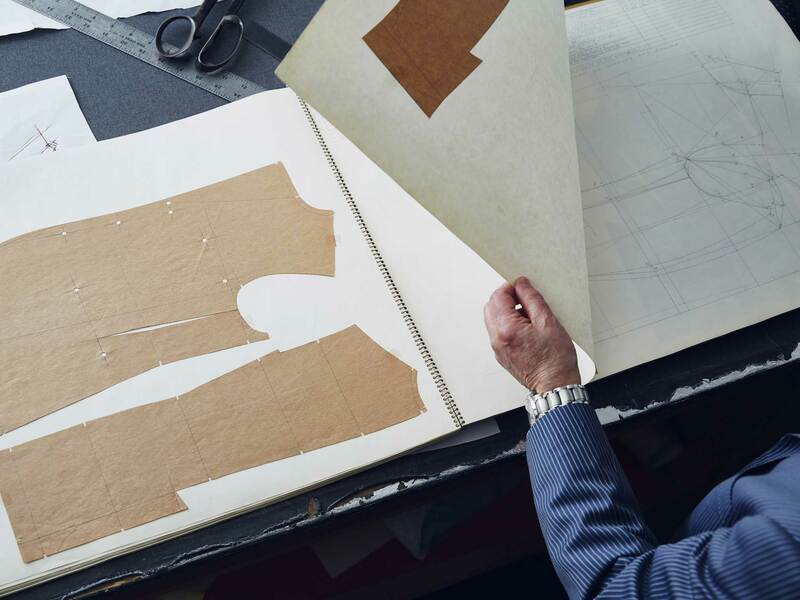 It's a labour of love: Hector creates patterns, grades each style with the help of digital technology, then tests the pattern, adjusts, finalizes for each custom suit. Each client is specific. To make the chosen pattern fit perfectly he wants to know if your posture is open or closed, are you stooped or do you stand erect, are your shoulders square or sloped? 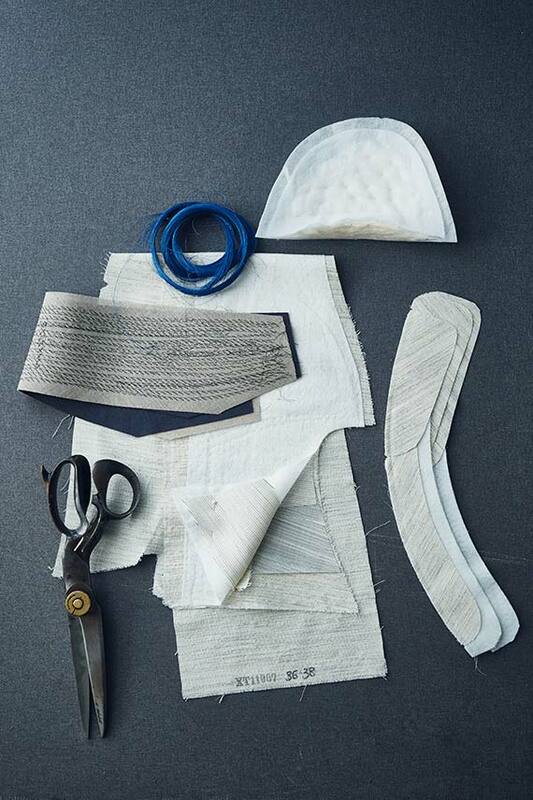 All these tiny adjustments make the garment 'tailored' to the individual." 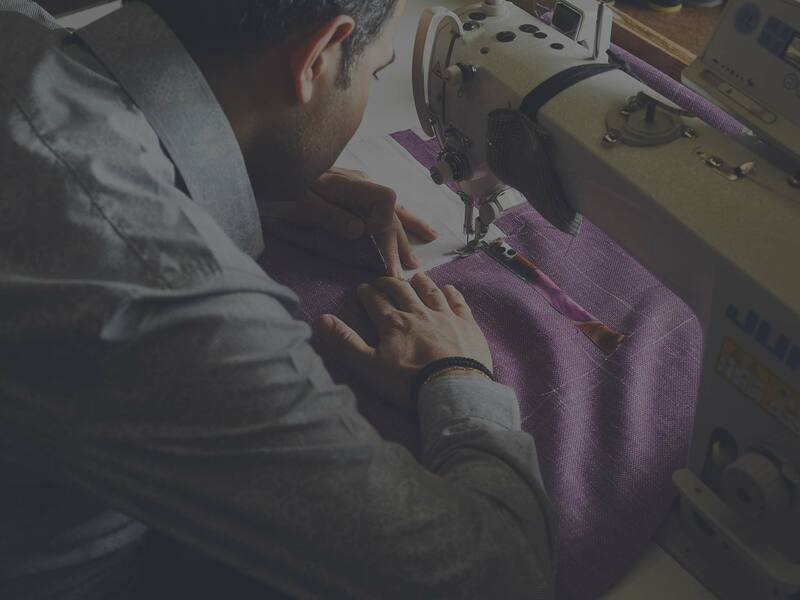 Sam came to Canada and apprenticed further with a number of master tailors, perfecting the art of finishing, alterations and fitting a garment to the individual. For Sam it’s the finish and styling that gives the piece its look. 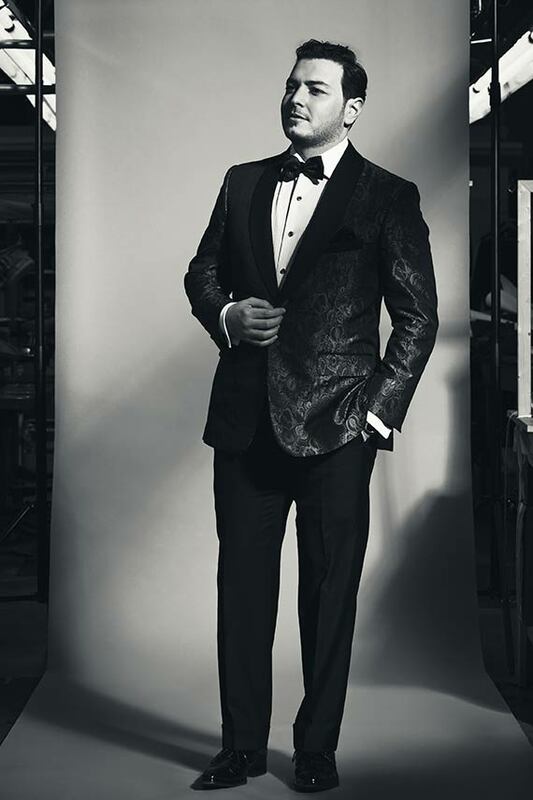 A suit must work with your body – the style and cut should improve or highlight the customer’s attributes. 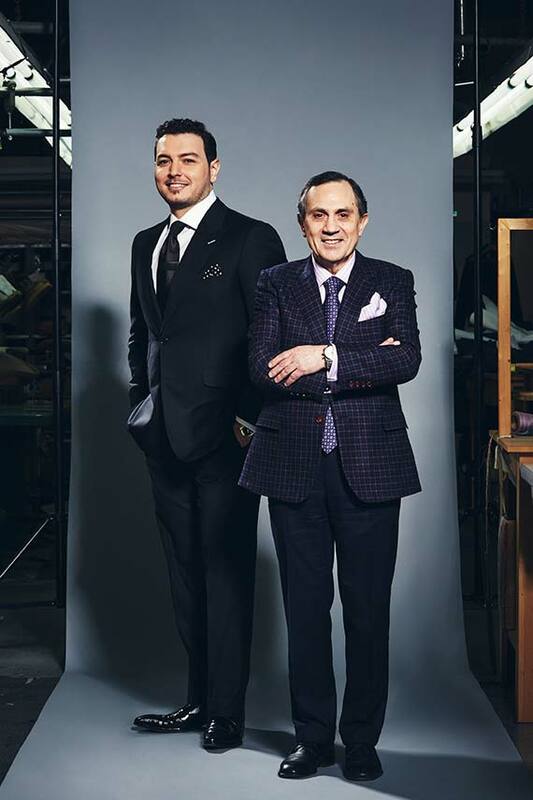 Sebastian Garofalo will tell you the suits they make at Antonacci are garments of the quality your great-grandfather would have worn. “We don’t want to change a thing,” he says about the workmanship in their product. 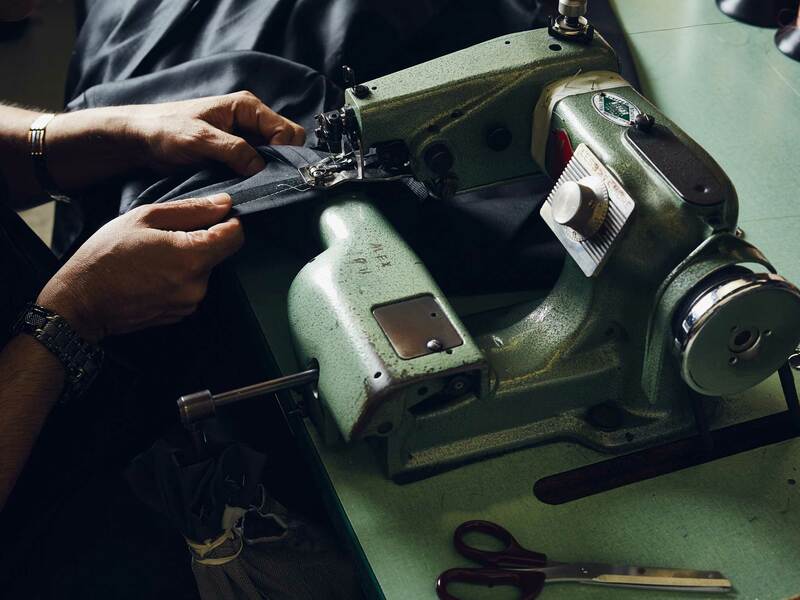 The quality of raw materials used in every suit starts from the purchases he makes: French and English-made cloth, horsehair canvas, cotton lining, even German-made silk thread. Sebastian is a man of fashion to the core: every year, he and his wife go to Paris, via Nice, to relax and see what’s happening at the heart of fashion. 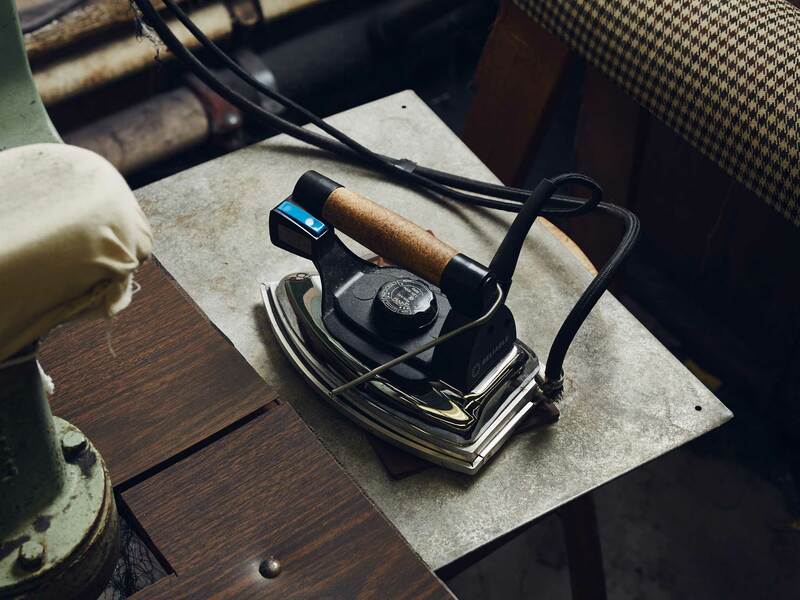 Emma Tynan, a UK native, men’s fashion has always started with traditional tailoring. 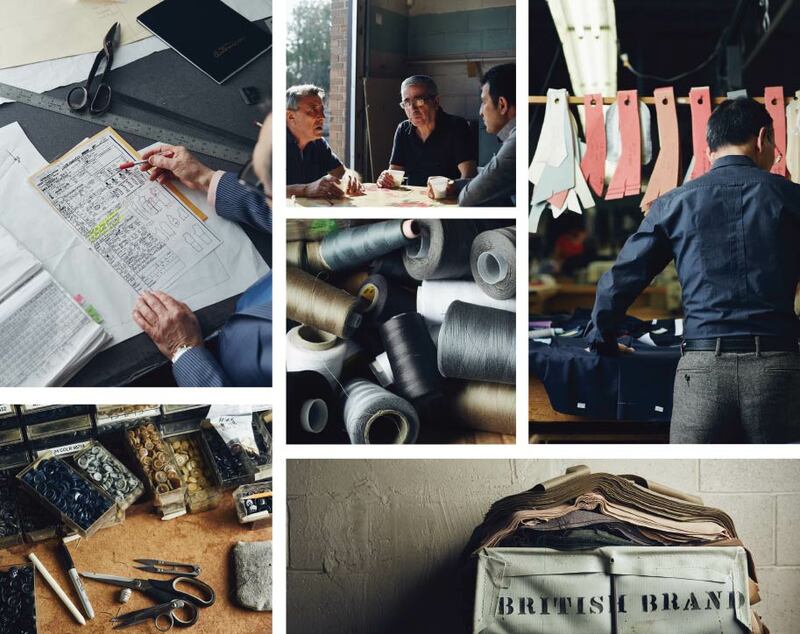 From Saville Row and the custom-made British suit, to the tweeds and mohair that the UK is so well known for, Britain represents the history of what is special about gentlemens garments. 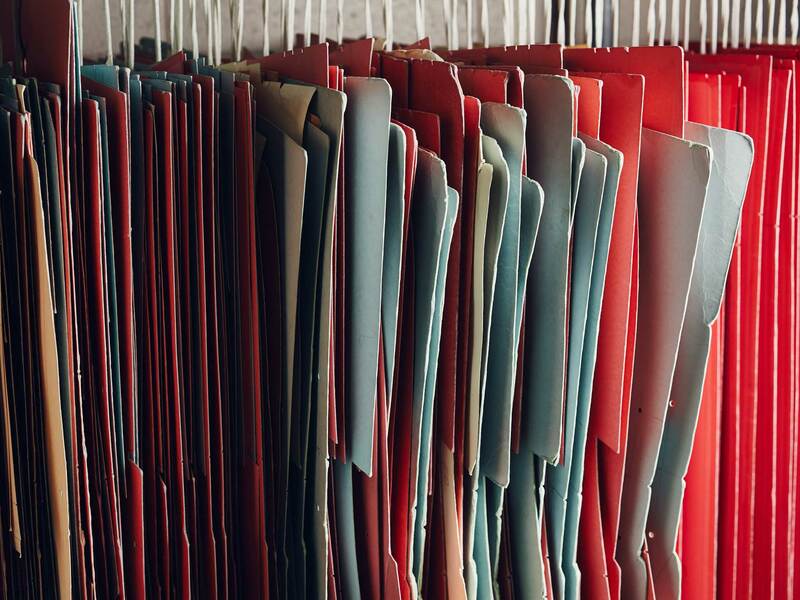 If you think your suit can only be a shade of blue or gray in a worsted wool, think again. (What’s ‘worsted’? Patience. Emma will explain all). Cotton, jersey, cord, tweed, silk, chambray or a blend are the new starting points for a man looking for a wardrobe to express his personality and project his style. The fabrics Emma uses let the suit compliment a man’s colour, complexion and body type – which is what great clothes should always do. 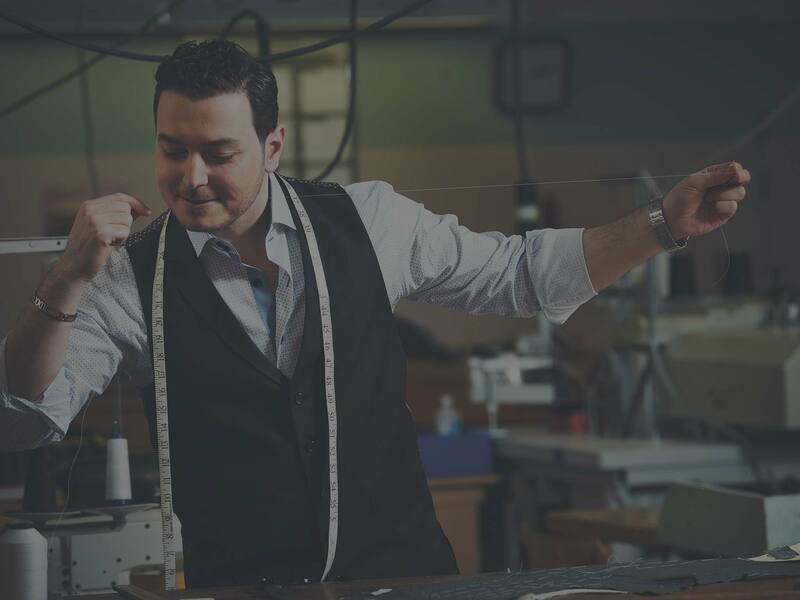 Antonacci accepts custom orders from retailers throughout North America for both men and women. Trunk shows are also available. Please click here for wholesale inquiries. Individuals are welcome to book personal fittings in your home or office within the Greater Toronto Area, or at our atelier in Toronto, Ontario, Canada. Please enter your contact info below for further details. Sign up for our newsletter to receive updates for trunk shows in your city.